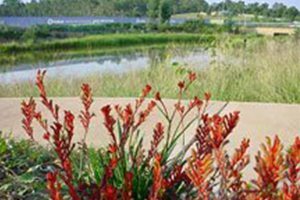 Australian Wetlands Consulting (AWC) is an industry leader in ecological consulting, stormwater, wastewater and catchment management, providing a range of specialist environmental design and consulting services for local and state government and the private sector. 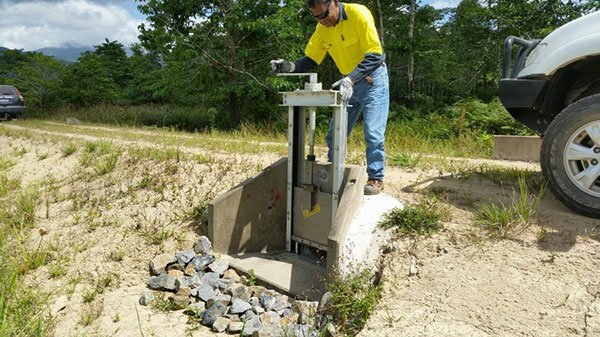 From federally funded infrastructure projects through to small subdivisions our goal is to simplify complex issues, speed up approvals and add value to every project. The restoration works were required to halt an active head cut in proximity to public infrastrucutre. 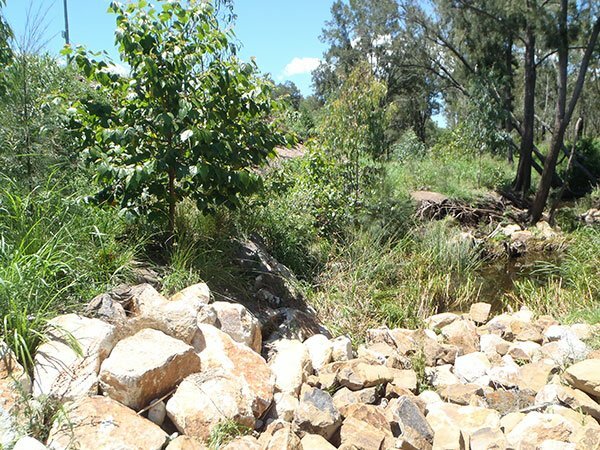 This was combined with extensive weed control and rehabiltation of the riparian zone. 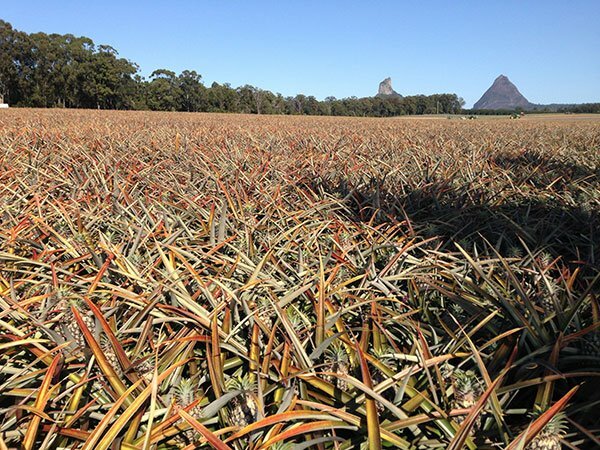 In order to intercept nitrates from fertalisers running off a pineapple farm into the ocean AWC designed an inline bioreactor within an existing drain. 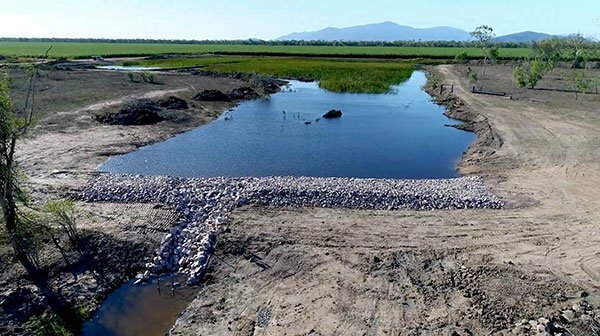 In order to reduce nitrates and sediment reaching the reef from farm land, AWC were engaged to transform an existing borrow pit into a treatment wetland. 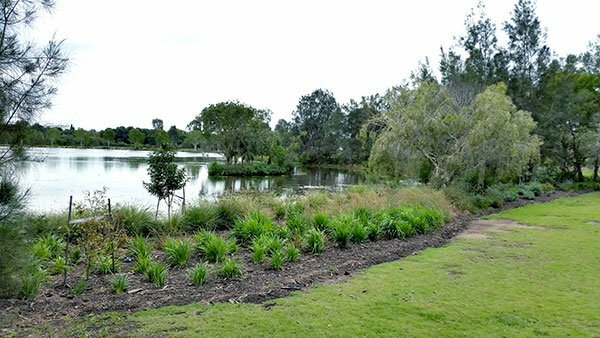 The water body and parkland of Norfolk lake is a high profile landscape highly valued by the local community. The banks of Norfolk lake were eroding with little vegetation, which was unsightly and difficult to maintain. AWC provides a comprehensive service to clients, from planning through to construction management and supervision. Our thorough knowledge of ‘the science’, combined with our understanding of the local, state and federal legislation results in a service that offers practical solutions and add value to projects. AWC offers a multi-disciplinary team to maximise project outcomes. 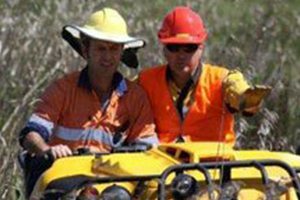 Our staff in Sydney, Byron Bay, Gold Coast and the Sunshine Coast include botanists, aquatic and terrestrial ecologists, water scientists, catchment managers, landscape architects and engineers. Our staff have represented local councils, not-for-profit organisations and the private industry as expert witnesses in a number of court proceedings.